The co-CEO of SAP (SAP), Jim Hagemann Snabe, says in an interview with the Financial Times Wednesday that his company is looking at revving up its deal-making -- a necessity, he says, to bring back growth. He wasn't kidding: SAP has agreed to pay $5.8 billion for Sybase (SY). The financing will come from cash on hand and a €2.75 billion loan facility (about $3.49 billion), according SAP's press release Wednesday. After all, SAP is having trouble keeping up with upstarts like Salesforce.com (CRM) and NetSuite (N). So why not buy innovation? As a massive provider of business software, SAP generates substantial cash flows and has enough resources to pull off major transactions. However, its experience with such deals has been limited, with its biggest deal before Sybase coming three years ago, the $6.1 acquisition of Business Objects. 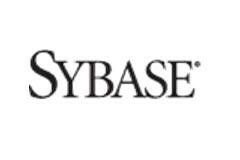 Sybase got its start back in 1984 and was one of the pioneers in enterprise databases. The company grew at a rapid pace but eventually ran into its arch rival, Oracle (ORCL). Simply put, the company wasn't able to differentiate its offerings and languished for many years. But starting in 2003, Sybase embarked on a new strategy: Connecting enterprise databases with mobile devices. The prescient move required lots of investment. To this end, Sybase made a variety of acquisitions, such as for Extended Systems, XcelleNet, Dejima, AvantGo and Mobile 365. And so far, the strategy is paying off. From 2005 to 2009, revenues have steadily climbed from $819 million to $1.171 billion, while cash flows have gone from $170 million to $384 million, according to the most recent investor presentation. Actually, the company has been profitable for an impressive 11-straight years. While Sybase's mobile offerings continue to show strength, the company is also getting traction from its core database business. The key product is Sybase IQ, which provides high-end analytics to 1,800 customers so far -- and the company continues to fend off Oracle. The combination with SAP means the Sybase IQ platform will get a nice boost and represent a profitable stream of new licensing revenues. Moreover, the technology will benefit from SAP's in-memory technology, which will increase performance of the analytic processing capabilities. And when the mobile assets are added -- which include more than 850 operator relationships worldwide -- the growth potential certainly looks attractive. Keep in mind that the forecasted growth of corporate mobile apps is expected to increase at 43% per year from 2008 to 2011, according to Gold Associates. Interestingly, SAP recently struck a major partnership deal with Sybase to build its mobile applications on its Unwired Platform. There are even two new products from the relationship, which will help with customer relationship management -- CRM -- and workflow. As was the case here, such relationships can quickly lead to a mega deal.